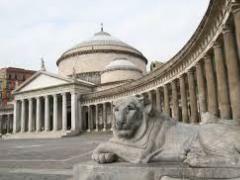 The most frequent photos of Italy we find, are views of its many famous piazzas, and for a reason: for Italians, the piazza is not only an architectural site, but is the essence of life. A common English definition of piazza recites “an open square in a town or city (especially in Italy) that is usually surrounded by buildings”. Well, the kaleidoscopic vision of Italian life is expressed through the immense variety of Piazze’s shapes that are seldom “square”. We can think immediately of the unforgettable shell-shaped Piazza del Campo in Siena, or the grassed open shape of Piazza dei Miracoli in Pisa, with the famous Leaning Tower. What about the stadium like oval-shape of the mesmerizing Piazza Navona in Rome, the rectangular breathtaking design of Piazza San Marco in Venice, or the semicircular shape of Piazza del Plebiscito in Naples! The PIAZZA is the heart of any city, town or village and with its immense variety of design comes an equal array of purposes. People gather after work or during any free time to talk, socialize, learn and discuss news, gossip, play games such as bocce or sit at a caffè to enjoy an espresso, cappuccino, aperitif or pastry. The children play all kind of games in the piazza, with soccer being their favorite choice. 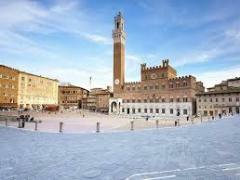 Events may be held in larger PIAZZE, as well as weekly or daily markets. The people celebrate major events of their lives like weddings or first communion by making the Piazza the set of their photos. Moreover, a piazza may be set with tables for a festival where food will be served, or used for outdoor music concerts in summer. So, LA MIA PIAZZA is designed to offer a flexible space that the campers will help to shape into their own piazza, imitating the creativity and the joy of life of the Italian people. 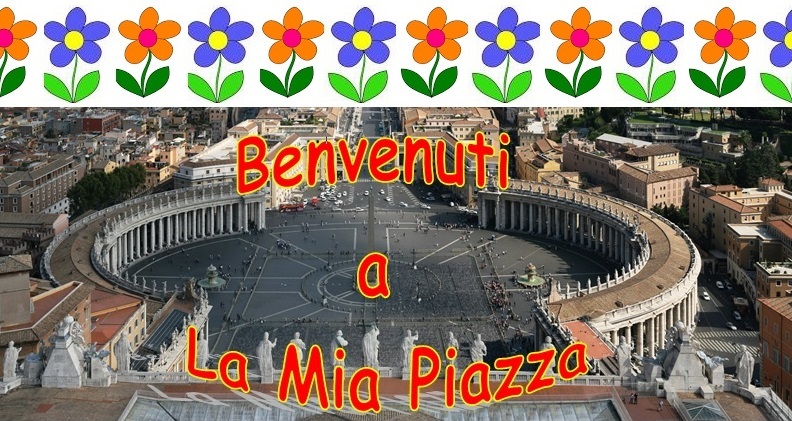 Therefore, we invite you to join LA MIA PIAZZA summer camp to share the Italian way during our time together. Internet Explorer users: click on the star icon at the top right of the browser and click on "Add to Favorites", or press Alt D to bookmark. Firefox users: Click on the star icon at the top right of the browser. Chrome users: click on the star icon in the address bar. Control D will also work. Safari users: Click on the icon with a page and an up arrow in it, then select bookmark. Come back often for updates and current events. Please click here for the Parent Evaluation Survey, after your experience at La Mia Piazza.